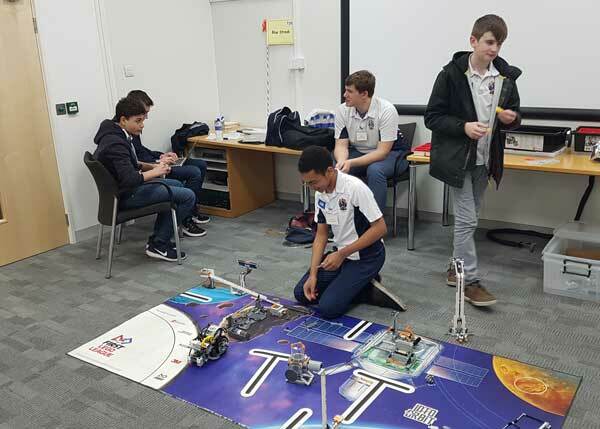 On Thursday, 17th January, Blue Coat’s Lego Robotics Club sent two teams to Bristol to compete against 18 other schools in the regional robotics league, First Lego League UK. After a shaky start, both teams’ robots put in good final round performances to jump up the leader board. 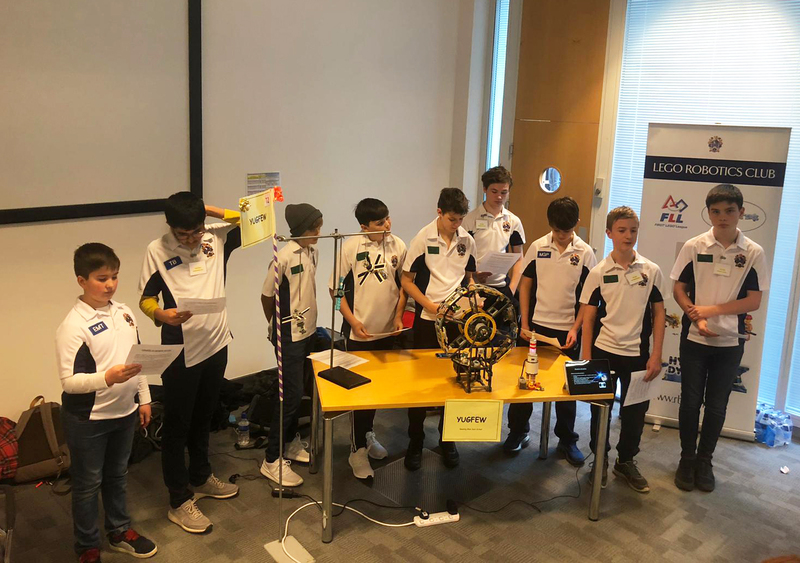 Our Junior team, Yugfew, who had not attended the competition before, came a respectable 12th, whilst the Senior team, Blue Streak, drew on past experience to make the quarter finals for a second year running. This year’s theme was ‘Into Orbit’, for which each team had to design and present a solution to a problem encountered in space. The judges were impressed by the Junior team’s ‘artificial gravity wheel’ and the Seniors’ ‘3D pr inted interstellar spaceship’.